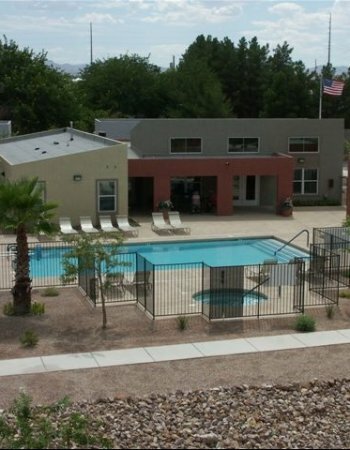 Los Pecos Apartments is a Section 42 Tax Credit Project which means that federal tax credit subsidies were given to help finance the property. Because of the subsidies received, the owner is required to hold the maximum rent charged at or below a level considered appropriate for the households that have incomes at or below 60% of the median household income for the county. This maximum rent that can be charged is calculated at 30% of the 60% of the median monthly household income less a utility allowance which is determined by the Department of Housing and Urban Development. Applicants must also qualify to live in the community by demonstrating that their annual household income is at or below 60% of the median income for the county where the community is located. Below are two lists, one is the maximum household incomes allowed to qualify for residency based on the number of people in the household, and the second is the maximum allowable rent for the studio, one and two bedroom apartments.